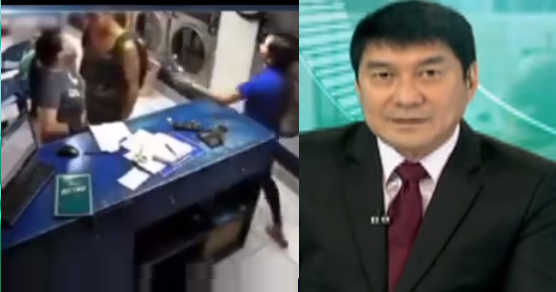 The viral video of a woman beaten up by a man inside a laundry shop in Makati City reached the attention of veteran broadcaster Raffy Tulfo through the help of netizens. In the video taken from the laundry shop’s CCTV, a man and a woman could be seen having a heated argument which leads to physical assault. According to Kristine Domingo, the woman involved in the viral video, it all started when she entered the laundry shop and accidentally pulled the door heavily and almost hit a car parked in front of the shop.